When marketing a travel destination, a brand must find ways to stand out in a crowded marketplace, all while convincing an audience to make a significant investment they may not absolutely need. 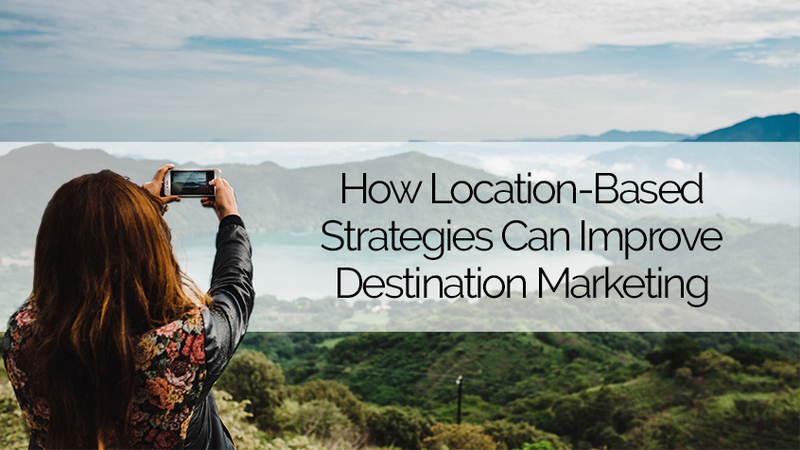 To succeed amidst these complexities, travel and tourism brands can use location-based marketing strategies to reach audiences at every phase of the engagement funnel. Like any other marketing-conversion funnel, the destination funnel is basically comprised of three phases: awareness, consideration, and intent. Each stage of the funnel requires a different set of initiatives as components of a complete, diversified strategy. To optimize the conversion funnel, you must first understand the demographics and buyer behaviors and tendencies around travel. For instance, women conduct 59% of all travel-related online searches while accounting for 62% of all clicks. Meanwhile, Millennials plan more international trips and spend more than any other age cohort, with one in three spending $5,000 or more on vacations. Your marketing strategy can and should account for these nuances. The key to success is a nuanced strategy that leverages location as a success opportunity and differentiator. By embracing location-based marketing strategies throughout the conversion funnel, your campaign will be more accurate and more fruitful. Your brand can use location-based marketing to make itself visible to specific audience segments in key locations. Chances are your potential guests don’t come from a broad range of locations. 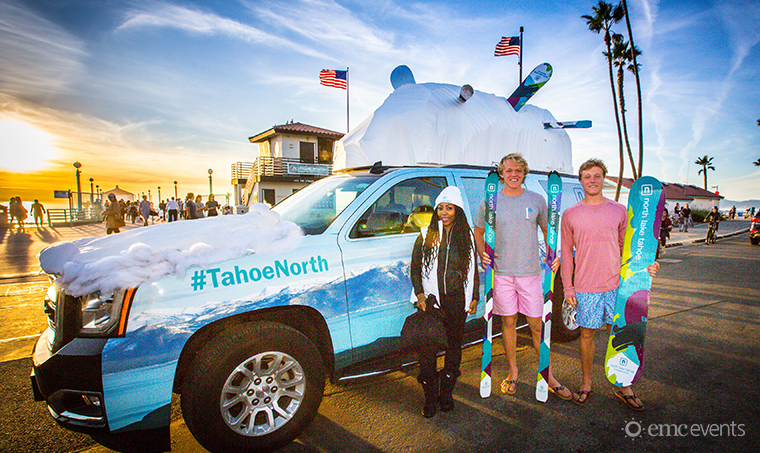 A beach destination will often attract inland tourists; a ski resort will likely attract affluent populations. It starts with identifying key feeder cities where your audience lives, works and recreates. Determining these locations can be as simple as analyzing your current guests and the small geographic pockets they’re most likely to be found within their home market. Once you’ve identified where your audience is, you must consider your messaging and creative. Your goal at this early stage is simply making your audience aware of your tourism brand, and standing out from the clutter. First impressions matter. In fact, according to a study from Phocuswire, 64% of travelers say that their initial brand impression is a major factor in making travel-related decisions. Your creative here needs to be big, bold, and simple. Don’t even try to make your audience think. Just prompt them to investigate more. Beautiful imagery or spectacular facts your audience might not know about your destination are a perfect opportunity to get their attention. All the while, remember to stay on-brand with consistent imagery and messaging. Out of home should be a major factor at this stage of the conversion funnel. It’s the perfect medium for beautiful imagery, presented in a way that’s impossible to miss. It also allows for the massive initial reach to create enough brand awareness for future, more nuanced messages. Digital marketing, at this stage, allows for some interactivity, helping you show moving images and stunning shots of your destination without having to spend major dollars. Through more advanced targeting options, you can geofence very specific target areas to reach your intended audience while they’re on a device throughout the day. Of course, neither out of home or digital work as well in isolation. The Phocuswire research shows that while digital continues to be the fastest-growing tourism marketing tactic, out of home scores more highly with travelers on “influence to book.” Integrate digital and out of home to build a multi-channel approach that’s impossible for your future guests to miss. Once you have your audience’s attention, it’s time to get specific. Location-based marketing allows you to reinforce the messages you’ve begun to share during the awareness phase, building deeper engagement opportunities to reinforce your brand and get your audience to start planning their vacation. At its core, travel and tourism are emotion-driven industries. You’ll attract guests by nurturing an emotional connection. You want them to be able to visualize themselves at your destination. This is your opportunity to create marketing messages that make the audience truly want to visit, maybe even start telling their friends about it. In the awareness phase, you were merely getting the word out to the largest swath of people. Now, you must build a more specific strategy designed to reach your audience when they start researching travel options. In other words, this is the phase of the conversion funnel when the timing of message delivery becomes critical. Timing may differ based on your exact destination and business model. Your marketing planning cycle will likely depend on a set of factors, including the season and holidays when people typically visit. Naturally, a beach hotel will operate on a very different cycle than a ski resort. Conduct the necessary research to determine when your audience typically makes travel decisions. Then, you can build your marketing strategy around that end-point. You must consider, and balance, the timing of when to deliver ad creative and messaging with when people are simply gathering information or when they are starting to book. Knowing when to share teaser-like creative versus deals or booking instructions could make the difference for a successful campaign. 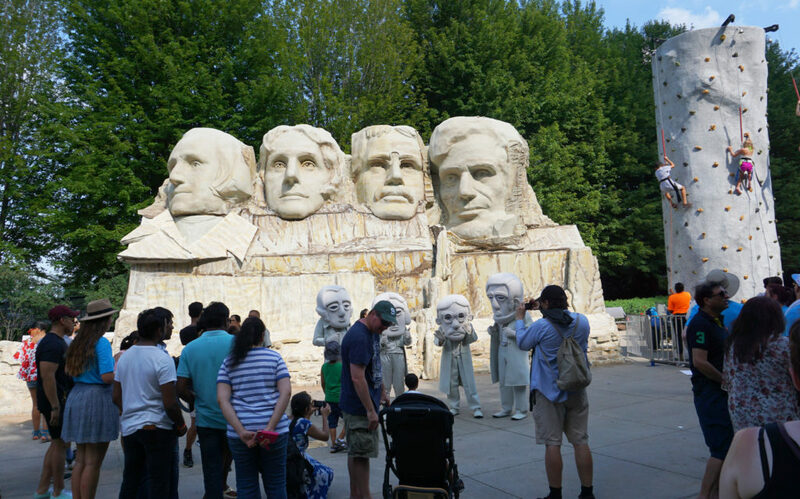 Experiential marketing, through an activity relevant to the destination. 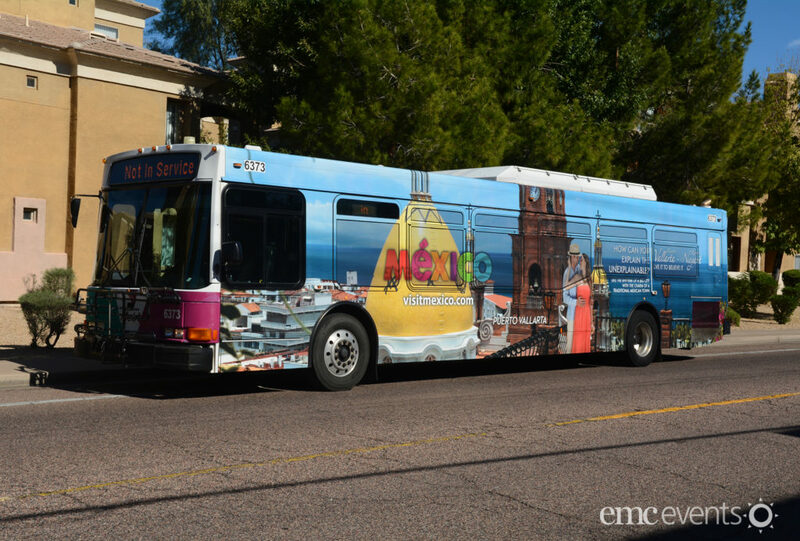 That might include a food truck with destination-sourced cuisine and a climbing wall, like the experience we built for Travel South Dakota, or a virtual experience using AR/VR that transports them to your destination. Social media marketing, which offers space for user-generated content, shared and curated destination hashtags, contests, and more. Recent studies show that 71% of Millennials trust user-generated content 50% more than any other channel, and that travel and tourism market is the fourth most followed on social media. Influencer marketing, such as paying influencers among your target audience to come to your destination and share their experience. Don’t tell them what to write, instead let them make their own authentic experiences and tell your audience about it. Content marketing, through original content that highlights your destination while remaining relevant to your audience. That include tips, guides, lists, and more. Post both on your own digital channels and on travel sites and resources that your audience already knows and trusts. Many of these channels and tactics can be combined to magnify your campaign. They can also be coupled with out of home media implemented in the awareness phase. We see this evidenced by Nielsen data, which shows that out of home drives social traffic better than any other media, and in an excellent example from Cunard Cruise Line. Finally, you have to close the deal. Getting your audience to consider you is a great start, but don’t forget about the final step. Location-based marketing can successfully bring your audience all the way through to a purchase. To be successful, shift the focus from consideration to ease of conversion. The more easily your audience can find you online and understand their options, the simpler it is to book and the more success you’ll have. This stage should be heavily digital. As your audience goes to Google, Bing, and travel sites to find the right deal for their needs, cater to their search marketing tendencies and terms. You can also leverage retargeting, an effort to send ads to past web visitors or users of your app to stay top-of-mind until their ready to make the decision. Continuing social media marketing is another crucial step. Carry through the same tactics you used during the consideration stage, including user-generated content by building on messaging from your actual guests on social. You can offer discounts, coupons, and other incentives for sharing social posts or using specific hashtags. Regardless of the exact channel, location should remain a key consideration. Always be aware of the geographic situation in which your audience will see your message. That ensures potential travelers will see deals relevant to their specific area, including airline tickets from the nearest airport. The travel and tourism industry is a crowded space, and consumer attention spans and budgets are limited. To succeed, a destination brand must find precision-driven ways to reach their audience at each stage of the conversion funnel. Location-based marketing leverages unique tactics and media to reach your audience and build awareness, engagement, and intent. Let’s work together to build a location-based strategy for your brand. Contact us using the form below! 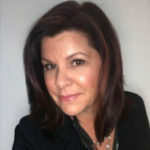 Rainy McGrew is a woman who is always on the move, furiously exploring new clients, ideas and innovations. Her expertise in Experiential Marketing, perspective on the industry, and vivacious character cannot be matched!